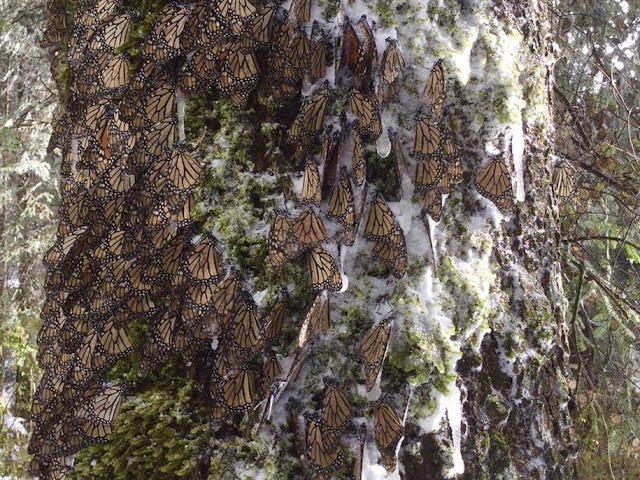 A recent report noted increased Monarch butterfly numbers in Mexican overwintering grounds: very encouraging indeed! Some of that success is attributed to U.S. expanded public awareness of plummeting Eastern region Monarch populations. As such, many gardeners, landowners, nonprofits, and governments have stepped up to the plate, creating habitat and planting milkweed throughout the Monarch migratory corridors. 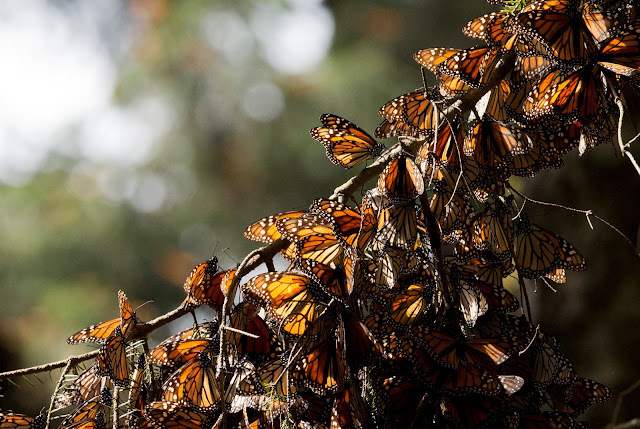 Another related article from The New York Times, Monarch Butterfly Migration Rebounds, Easing Some Fears was brought to my attention by one of this blog's followers: thank you Marion! Illustration detailing the migratory timeline of eastern races of Monarchs. Back in the container garden, all of the plants received their first fertilizing for the new season in the first week of March with a high nitrogen general purpose liquid fertilizer to stimulate stem and leaf production. Later in the year the container garden will switch to both liquid and granular formulas that contain greater amounts of phosphorus to encourage more blooms. The perennial milkweed I pruned back in winter are beginning to stir, breaking out in leaf and flower buds. Also, the native milkweeds are shooting up stems from their dormant roots, ready for another season. Monarch butterfly visitors were beginning to flit about the sprouting Asclepias curassivica during our last warm heat spell, but as temps and the weather changed to much needed recent rains, they disappeared. No sign of caterpillars; they'll make their presence known soon enough. News from the Santa Barbara and Frisco Bay areas report Monarch eggs and caterpillars on milkweed, heralding an early spring. Pot up plants that have outgrown their original containers. Prune back overgrown perennials to make them bushier, which produces more leaves and flowers. 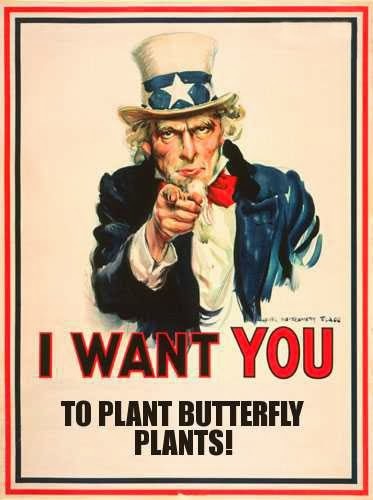 Begin a regimen of fertilizing. I start off the season with a high nitrogen (N) formula to kick start growth, and then switch to higher phosphorous (P) and potassium (K) numbers to stimulate flowering, stronger stems, and encourage a healthy root system.